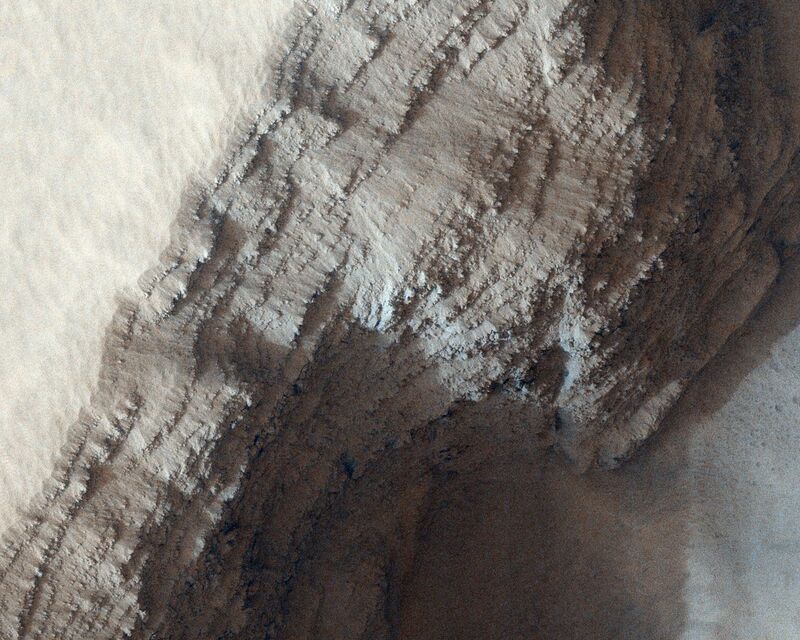 This image covers a pit in the lower West flank of Arsia Mons, one of the four giant volcanos of the Tharsis region. Many layers are exposed in the pit, probably marking individual lava flows, and provide information about the nature of the volcanic eruptions. This image was acquired in the middle of large regional dust storms on Mars, but the atmosphere over this image is only moderately dusty because the altitude is 6.5 kilometers higher than the planetary mean, so the air is quite thin and cannot hold as much dust. 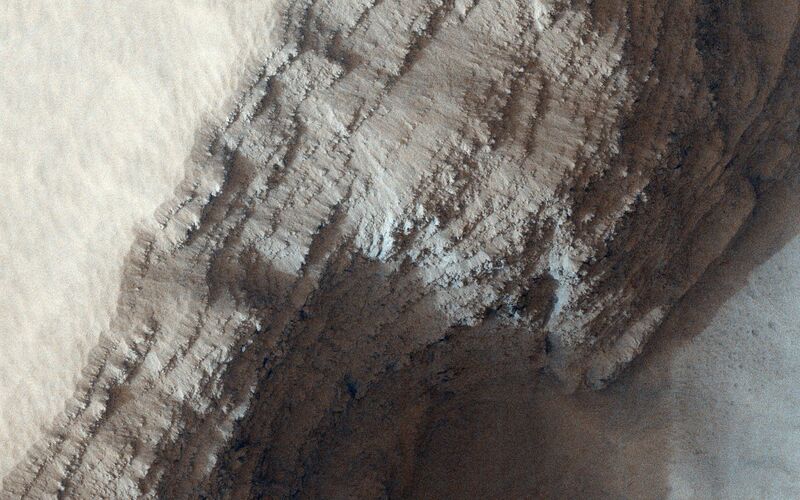 Although the atmosphere is not too dusty, the surface is buried by a dust layer meters thick. 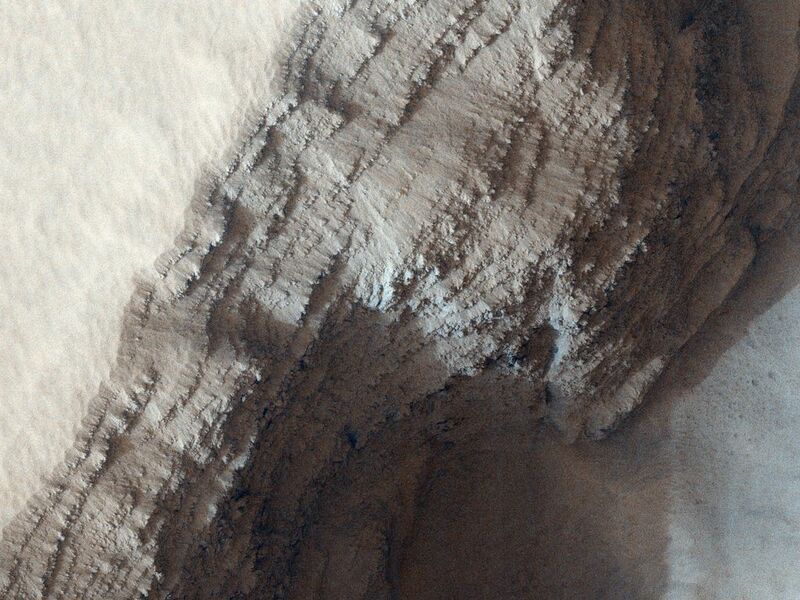 These high-altitude locations on Mars have thick dust deposits because the thin air cannot blow away the dust, or at least not as fast as it accumulates. On Earth the oceans serve as dust traps, but on Mars, it is the high volcanos.